You still have a couple days to pick up your first block and bring it in on Saturday to get your next block FREE! 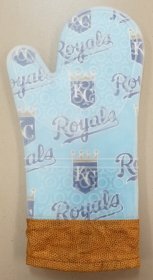 We still have limited spots in our new 2018-2019 Saturday Sampler. Pay $15 sign-up fee (which will be applied to setting kit) and $5 for the September block. 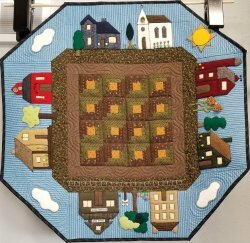 Bring in your finished block on Saturday, Choose between the Modern (Kaffe & Solids) or the Traditional (Reproduction/Civil War) Colorway featuring some of Barb Eikmeier's new Manzanita Grove fabrics. Are you off work on Columbus Day? Why not take a class? 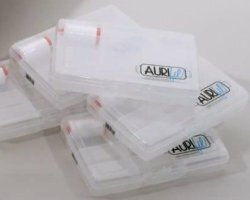 If you pre-ordered your Aurifil Case for $14.99 with a spool of 1300m 50wt white Aurifil thread, you can pick it up anytime. If you joined our Aurifil Thread Club you can choose up to three spools of 1300m Aurifil thread per visit for just $10 each. We still have cases left if you want to take advantage of this awesome deal!!! Limit 1 case per customer. Limited time offer. 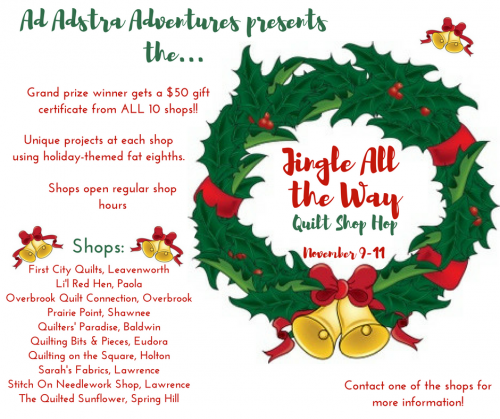 Aurifil Thread Club - with purchase of case and $10 membership, you can fill up your case with your choice of Aurifil threads (50wt 1300m or 40wt 1000m large spools) for $10 per spool when you bring in your case through December 31, 2019. That's over a year of savings on thread!!! 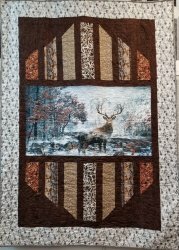 Pick up your first block now for Manzanita Grove by Barbara Eikmeier. 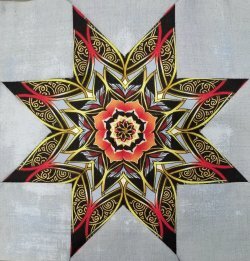 10 month BOM finishes at 80" x 80" $ 17.99 sign up fee, $ 17.99 per month. Shipping and handling not included. 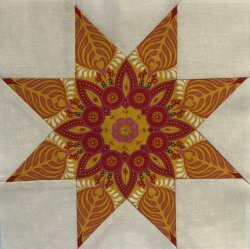 Patterns include rotary cutting instructions as well as die cutting instructions to speed up your cutting time! 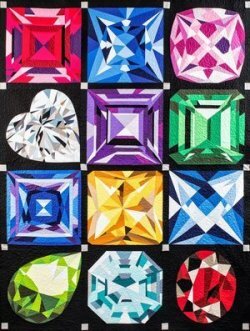 BOM includes full-size freezer paper patterns and FREE membership to our monthly Semi-Precious Sisters Club which meets monthly to make the blocks and celebrate birthdays with refreshments. Shipping not included. All BOM blocks are shipped or ready for pick up the 3rd week of the month. 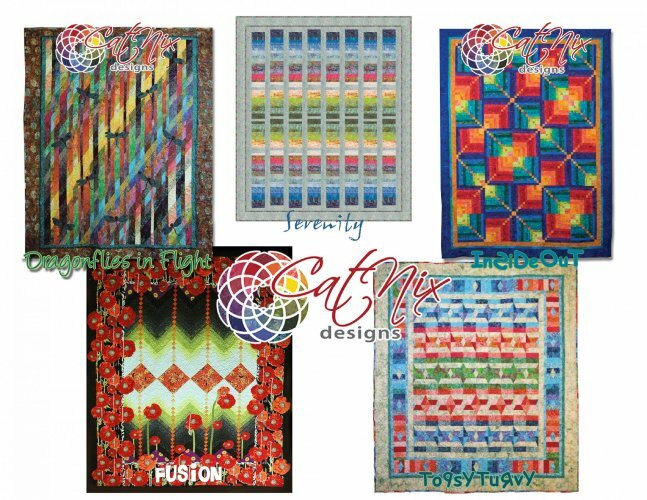 If you just want to make a single block, just let us know which one and we will kit it for you for $28.99 with the pattern! Can your honey "Bag a Buck"? 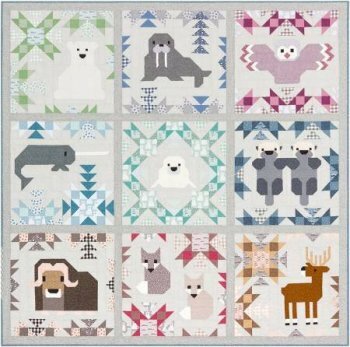 Well, you certainly can with our Bag a Buck Quilt Kit 55.5" x 77.5" $69.99 includes fabric for top and binding. Get 20% off backing with purchase of kit. Love all things Paris? 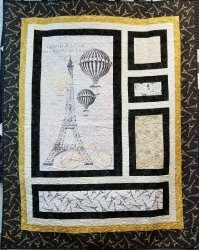 You'll love our Picture This Paris Kit 58" x 74" $74.99 Kit includes fabric for top and binding. Get 20% off backing with purchase of kit. Pattern by Elizabeth Hartman - Kit includes binding and Glow in the Dark fabric for the horn!!! We still have a couple kits left! 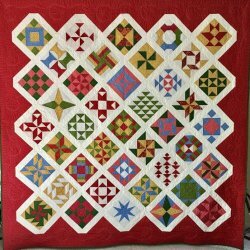 Pattern by Little House Quilts - Kit includes all fabrics and wool for top and binding. Embellishments not included. Prairie Town in Winter.....coming soon!!! 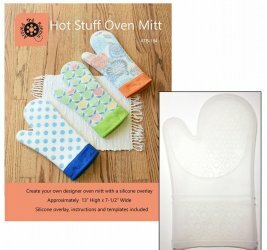 Hot Stuff Oven Mitt by Around the Bobbin $14.99 includes pattern & silicone glove overlay. 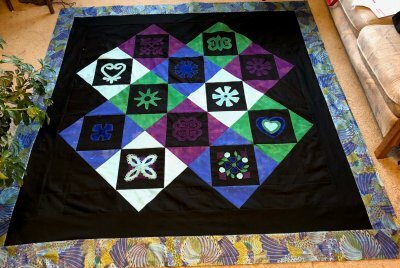 Sit and Sew with Renee from 2-7pm and help make quilts for this noble cause. Bring your machine or help cut and iron. For more information click on the link above. All skill levels welcome. Bring whatever project you would like to work on and sew with other sewing sisters all day. Cutting and ironing stations available for your use as well as a microwave and fridge. Your registration reserves your seat for the day. Sit & sew with us all day! No spouses, kids or animals to distract you. Come one day or both. Your registration reserves your seat for the day. Maximum of 8 people. Have you taken a class with Cat Nix before but never finished because you couldn't remember what to do or maybe just need some motivation to finish? Join us on Wednesday, October 7th and/or 21st. Daytime session from 11:00am - 3:00pm and evening session from 4pm - 9pm. You must pre-register for this class and email Cat the project that you will be bringing before class. 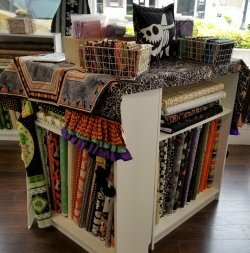 Fabrics are measured and priced at $2/yard for regular cotton and $3/yard for batiks, books $2, magazines $0.50, fat quarters $0.50. Kits, patterns and notions as marked. Cash or credit card only. No checks will be accepted. 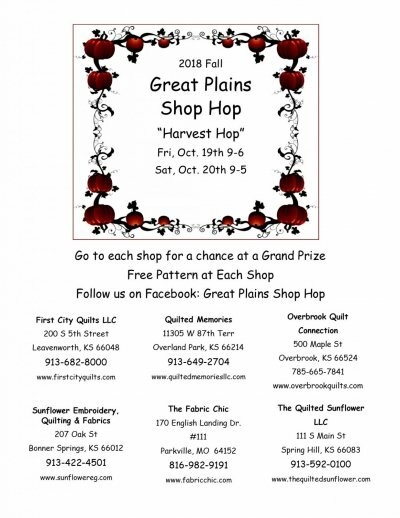 Line will start forming outside classroom door of First City Quilts at 6:15pm and the first 15 people will be let in to shop at 6:30pm. Only 15 shoppers will be allowed in at a time. The shop will be closed during this sale and there is no access to the sales floor or restroom during the sale. All patrons coming for the sale will enter and exit through the classroom door only. This sale is from Linda Rose's estate and her daughter, Amanda, and her husband are trying to settle the estate for the family. Please be respectful and adhere to the very reasonable prices that are marked on all items. 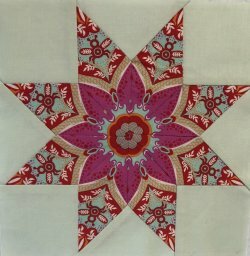 Are you following First City Quilts on Facebook? We will be announcing special events, sew alongs, challenges and contests and exclusive Facebook follower sales. "Like" and "Follow" us to stay up to date on all the classes, events, sales, tips and tutorial videos that we are promoting. Did you know that you can rent our classroom for the day…or a week? Our classroom has eight 6’ heavy duty tables and adjustable chairs on wheels, two large ironing stations with four irons, a 4’ x 8’ cutting table, a refrigerator and a microwave for your use. You can reserve the classroom for $10 per day per person. 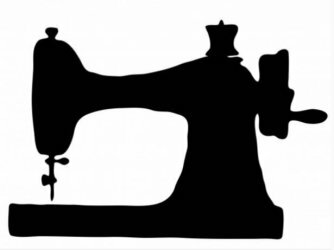 If you are interested in using our classroom or having a group sew day with your friends, just call or stop by the shop and talk to Connie or Maria about reserving the space. You and your group will also receive a Sew Day Discount.